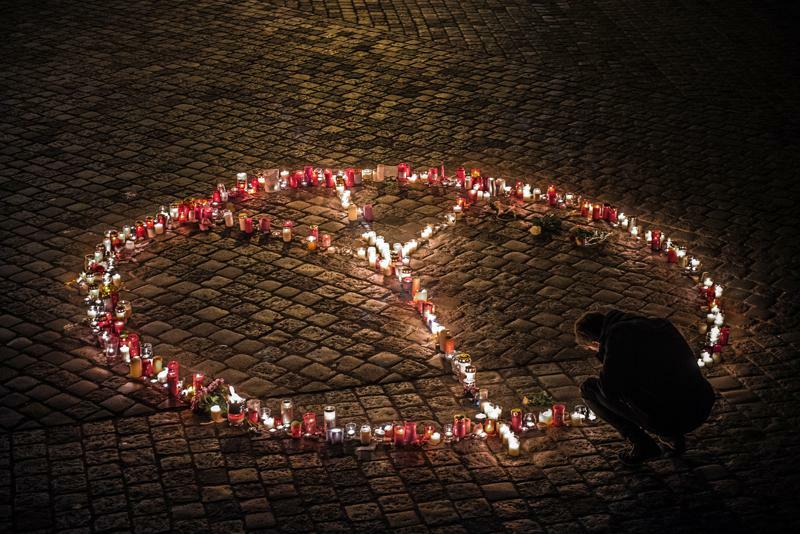 A peace tribute in Paris following terrorist attacks there on Friday, November 13. The organizer of the Vigil for Peace and Human Rights in Uptown Normal Thursday evening says people everywhere have the right to live without fear or violence. Peace vigil organizer Bob Broad talks with WGLT's Mike McCurdy.